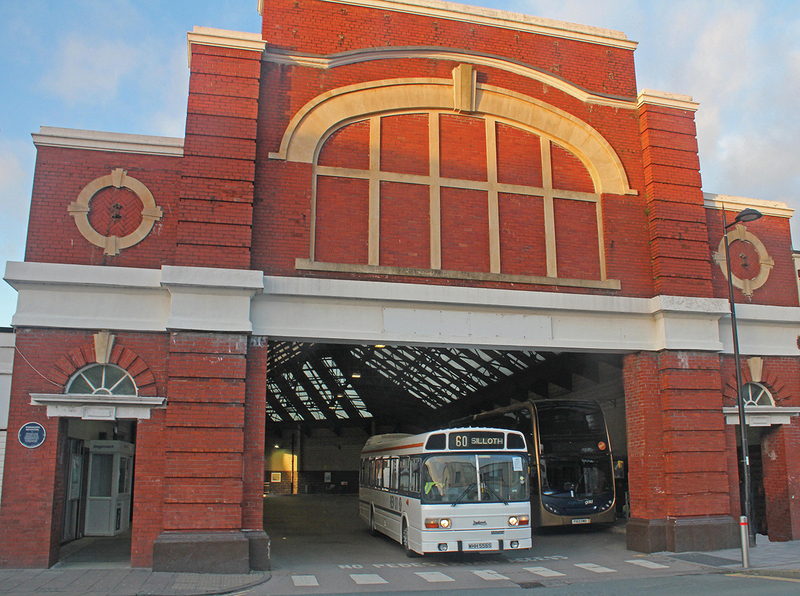 New destinations for Workington Transport Heritage Trust’s annual bus service. 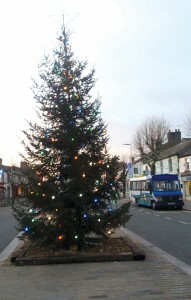 The Osprey minibus at journeys end next to the Christmas tree in Cockermouth Main Street. The routes covered in 2016 linked Workington with Silloth along the Solway Firth coast and Workington with Cockermouth via the otherwise unserved villages. Around 100 people took advantage of the four round trips operated to Silloth using the 1978 Leyland National Mk1 which has been restored to its original livery as Leyland demonstrator REV01. When built, it was a dual door vehicle fitted with the experimental Torotrak Continuously Variable Transmission system which Leyland were looking to offer operators at the time. It was demonstrated to operators around the country and then converted into a 52 seat single door vehicle with conventional transmission. WTHT acquired the bus in 2009 in full working order with a DAF engine fitted less than two years previously in its final role as a school bus. In 2015 REV01 received major attention to its bodywork, rusting panels were replaced and the Leyland demonstartion livery applied. 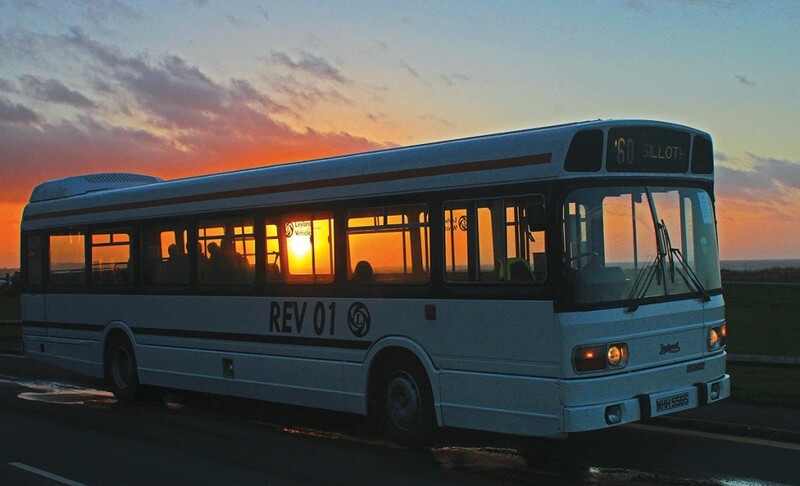 REV01 at sunset in Allonby on the last run of the day to Silloth. REV01 leaving the first purpose built covered bus station in the country at Workington. The Cockermouth service carried around 80 people and was operated by WTHT’s 1996 Plaxton Beaver 2 bodied Mercedes-Benz Vario minibus new to Stagecoach in Manchester. It subsequently spent time in west Cumbria where it gained the ‘Osprey’ livery as it was used by Stagecoach to ferry passengers from Keswick to the viewing point overlooking the osprey nesting site near Bassenthwaite Lake. It subsequently passed to MRD Travel in Bromsgrove who retained the osprey elements of the livery which it still carries in preservation. WTHT was established 20 years ago to preserve the transport heritage of the area which was once home to the factory where Leyland’s National and several subsequent models were produced. Now a company limited by guarantee and a registered charity, WTHT has a base at the Old Fire Station in Workington and also runs a shop at Workington railway station. For Further information, please visit www.wtht.co.uk.